Have you ever wondered why you had taken care of your hair very well but still dry and lose hair a lot? 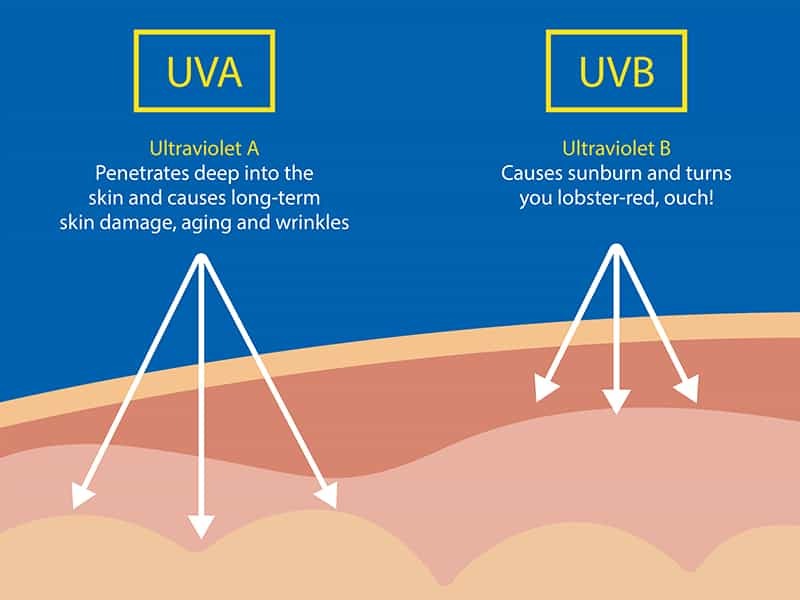 The cause may be the product you use and the lack of interest in sun protection for your hair. This article will introduce you to the best sun protection for hair and sun protection products. 1 How to protect your hair from the sun? Beautiful hair not only helps you look better but also has significant roles in the human body. The main components of hair fibers such as keratin (protein) and melanin are considered natural shields against UVA and UVB rays. While your skin may heal itself after exposure to UVA and UVB rays (skin cells often continually innovate, you may find that if your skin is tanned and then it will recover itself in a while), but the hair does not have such a self-healing system. Therefore, protecting your hair from the sun is so necessary. Currently, there are many types of sunscreens available for hair in the form of gels and lotions. If you cannot find these products, choose a hair conditioner with SPF15 or higher. Before going out, brush your hair silently and nourish your hair from root to tip. Brush again, wait for 15-20 minutes. So, Layla hair will introduce you to some of the best sun protection hair products. 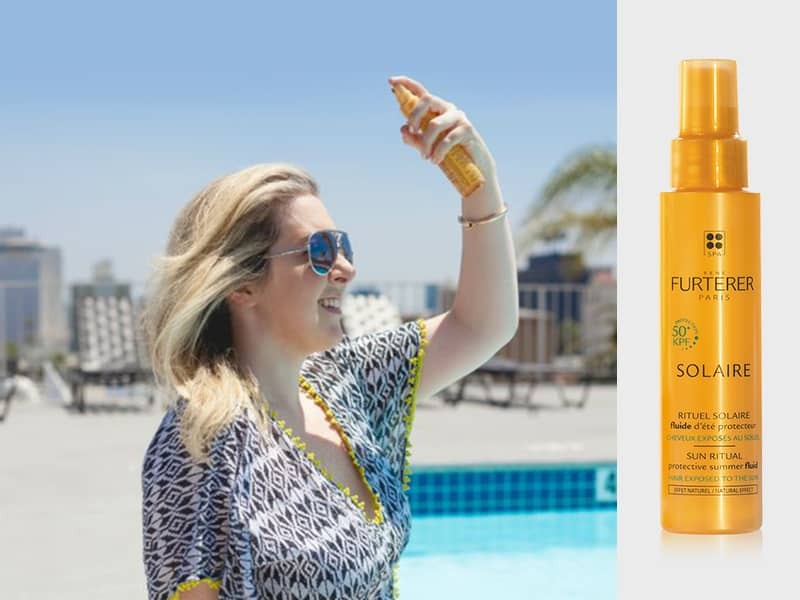 Rene Furterer – Solaire Protective Summer Oil ($26.00): The balm has a simple formula including castor oil, moisturizing sesame oil, and sunscreen. Bumble and Bumble Bb.Hairdresser’s – Invisible Oil Heat/UV Protective Primer ($28.00): Formulated versatile lotion form helps smooth and protect hair with chemical sun protection mechanism. Moroccanoil – Protect and Prevent Spray (30USD): This product contains sunflower extract to help retain hair color in the sunshine, the natural aroma from argan oil. Philip Kingsley – Sun Shield (31USD): Versatile products both protect against sun damage, protect hair from damage when exposed to chlorine in pool water or salt in seawater. Coola – Organic Scalp & Hair Mist SPF 30 (26USD): This chemical sun protection product protects both hair and scalp, contains palm extract and soy to moisturize hair in the summer. Rita Hazan – Lock and Block Protective Spray (26USD): Contains vitamins A, E, and B5 to soften hair, preventing UV damage. Phyto Plage – Protective Sun Veil (30USD): also contains sunflower extracts, which both soften hair and provide antioxidants for healthier hair. Reduce the impact of sunshine on your hair by wearing a hat or scarf. Not only your hair but also your skin also avoids quite the exposure to the sun. From 3 to 6 months, you should trim the hair tail because it is the dead part. 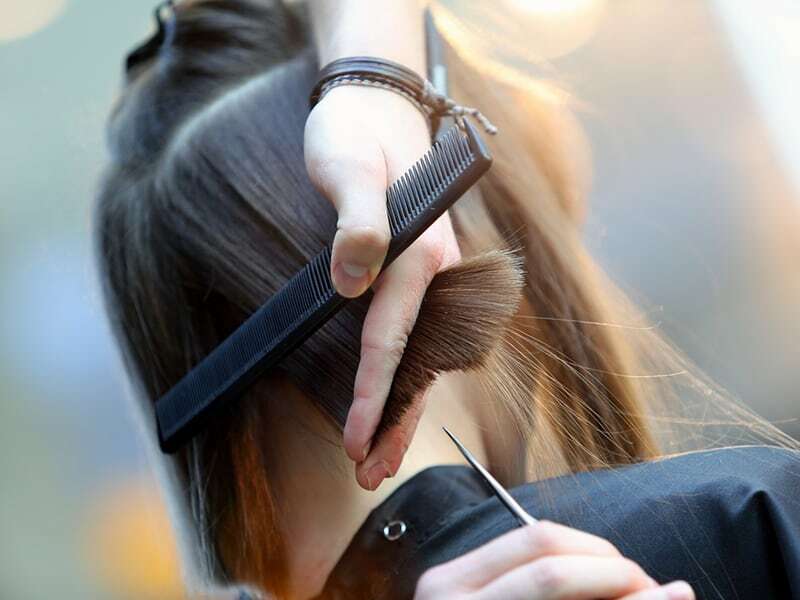 Periodic hair cutting also helps hair become healthier and smoother. In the hot summer months, girls should limit the use of blow dryers and curling machines. Because the hair that has been affected by the sun, continued to be “tortured” with these tools, it became more and more damaged. You should wet your hair before going to the pool or the sea. Because then, your hair will limit the ability to stick to calories in the pool or salt in the sea. This is especially useful for dyed-haired girls. The ability to catch sunshine of lemon is also very high, so in the summer you should minimize the use of methods, hair dye at home containing lemon. Instead, cleaning your hair with peanuts and grapefruit peels are much more effective natural shampoo. Dyed hair is very vulnerable due to chemical damage. If your hair is dyed in more colors, the cost is, of course, even severe damage resulting in dry, frayed hair. So how to care for your dyed hair so that you both have healthy hair and beautiful hair color. In addition to natural hair care methods, girls with colored hair should pay attention to the tips below. 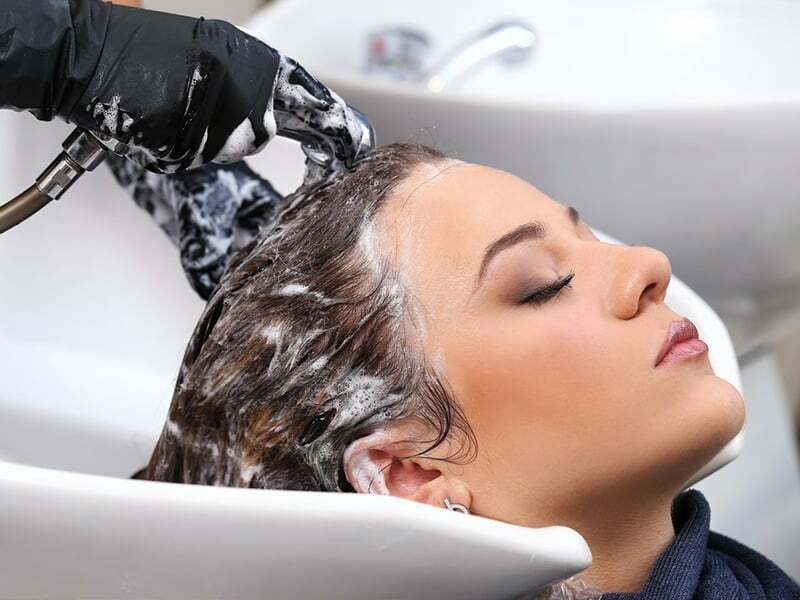 The dyed hair has been subjected to a lot of chemical effects, so when you use nutrients on your hair, you need to be gentle and careful with the time required to achieve the best result. After shampooing and conditioning your hair, you need to arrange a time, so you don’t have to go out. Use some moisturizing nutrients for your hair before going outside. In this way, each strand of your hair is covered with a layer of nutrients that enhances the shine as well as the softness of the nose. These moisturizing nutrients not only protect hair from ultraviolet rays but also help to regenerate damaged hair. Because sunbeams can also cause your hair to oxidize soon. Hair is very vulnerable to severe sunshine and once damaged, it can only be cut, but it is difficult to recover. Layla’s hair hopes that the advice we are given will help you to protect your hair, so you always have beautiful, shiny hair.